Joe Carr of Antiquated Press has been one of my favorite print artists for awhile now, and these might be his best ones yet. 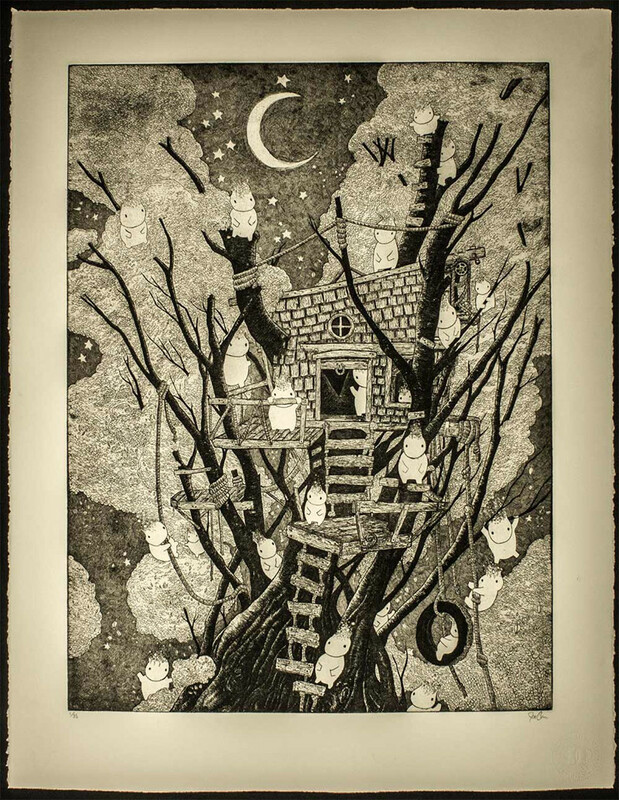 “Treehouse” is a 22″ x 29″ intaglio print, has an edition of 35, and costs $150. 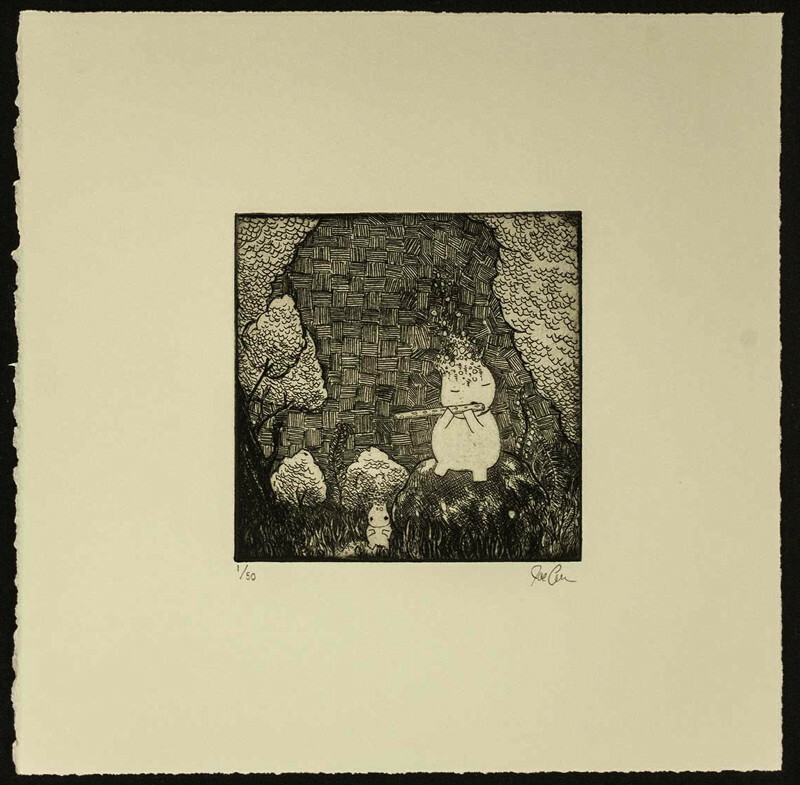 Everyone who purchases will also receive a free, matching-numbered “Kodama” print (11″ x 11″ intaglio, edition of 50). If you just want to purchase Kodama, he has a few available for $30. Visit AntiquatedPress.com.